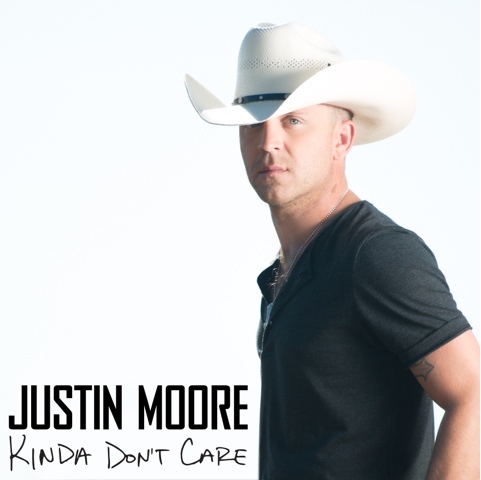 NASHVILLE, Tenn. (August 1, 2016) –JUSTIN MOORE is celebrating the release of his fourth studio albumKINDA DON’T CARE(available August 12) with series of fan-focused events and performances across the Southeast. The Arkansas native will kick off a week of intimate performances in his home state before stopping in Nashville, TN, Charlotte, NC and Indianapolis/Noblesville, IN to bring his fans his long-awaited collection of new music. The Platinum-selling artist will hit four stops for his fourth album release and is sure to offer memorable experiences. He will be available for interviews in addition to meet & greets to be announced soon. Complete details of each market’s events will be updated on Moore’s website and socials upon official announcement. Fans who pre-orderKINDA DON’T CARE will instantly receive the title track in addition to “Robbin’ Trains,” “Somebody Else Will” and current single “You Look Like I Need A Drink.” Moore’s building anticipation with the release of videos coinciding to each instant grat track. Watch them here:vevo.com/artist/justin-moore. The 2014 ACM New Artist of the Year has been steadily building his repertoire with his Gold-certified JUSTIN MOORE (2009); Gold-certified #1 OUTLAWS LIKE ME (2011) and #1OFF THE BEATEN PATH (2013). He has scored five #1 songs, six Top 10 singles and coveted spots on Superstar tours with Miranda Lambert, Brad Paisley and Brantley Gilbert. For tour dates and more, visitjustinmooremusic.com.